Map It! 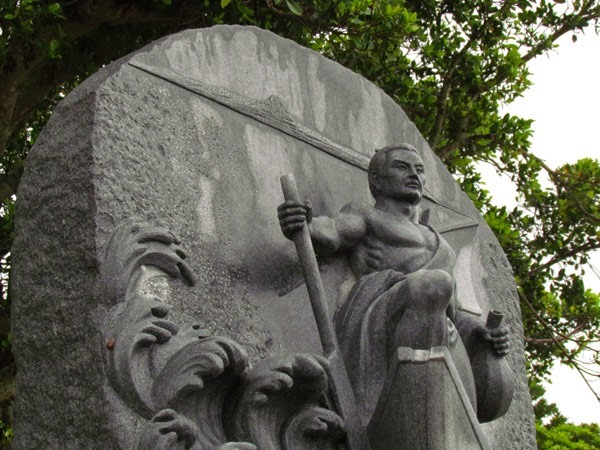 Okinawa: "The Legend of Asato Gura"
"if they can't stop you, then you become something else entirely. Okinawa is full of legends. Some big. Some small. Eventually, they all fine their way across distant lands in the ears of the intrigued. 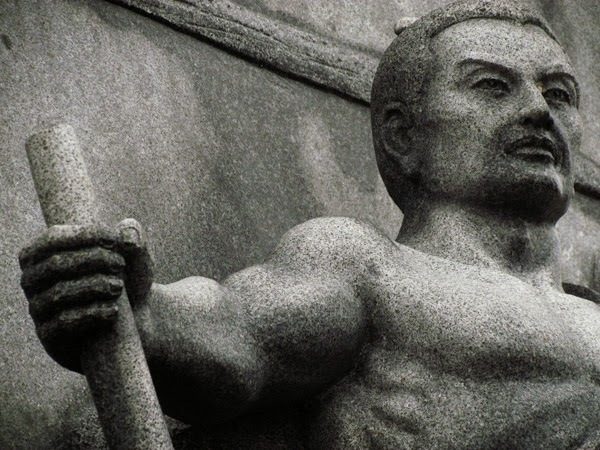 Some time during the 19th century, word had spread in old Naha, that there was man of extraordinary strength. This man had lived up north on an island known today as Ie Jima. His name was Asato Gura. But to the villagers of Ie Island, he is known as Uputeimun, (the Strong Man) Asato Gura (ウプテイムンアサトグラ ). As word continued to spread, five men from Naha made the ambitious journey to challenge this man to see if the stories were true. Predictably, all five men, in an Okinawan-style sumo match, would succumb to Asato Gura's overpowering strength, henceforth, making him sort of a local hero and a 'bragging right' among village folks. Asata Gura's exact age was never determined. It is believed though that he died in the year 1890. 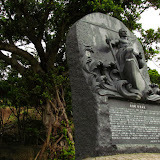 At Miisui (ミースィ) Park, on Ie Island, you will see this statue erected in his honor. You may wonder why he is standing firm like a mountain on boat while holding a flask in his left hand. Asato Gura was known for three things: being very strong, being a fisherman, and being a man who always had a bottle of liquor at his side. Source of Information. 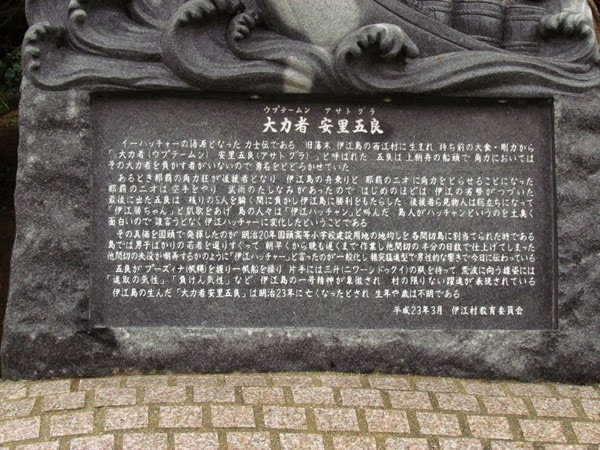 Sign in Japanese underneath the Statue. Directions. 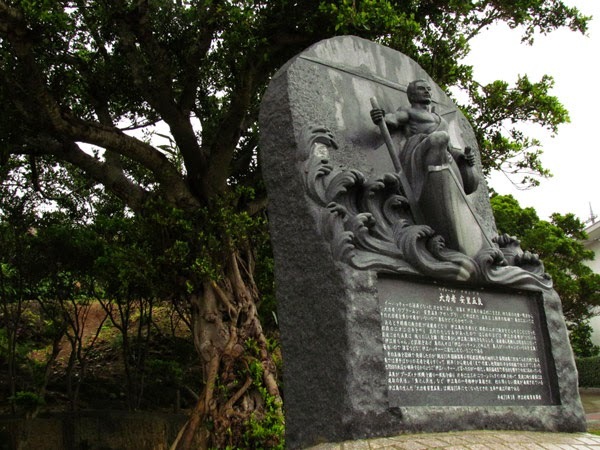 The statue and Miisui Park is on Ie Jima Island and is marked in the map above. Please refer to the article 'Travel Prep to Ie Jima' on getting there. Other Places of Interest Nearby. Sen-nin Gama (Niya-Thiya Cave), Ahashagama Cave.